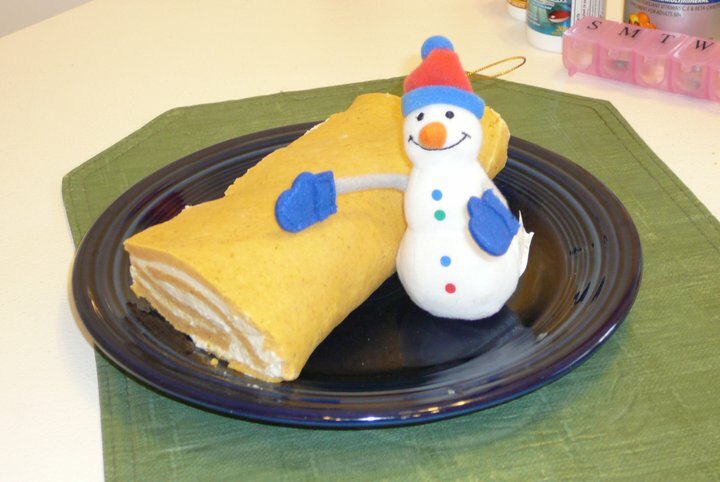 Submitted by our pal Christine S, she made Nik’s pumpkin roll cake. ‘Tis the season! Lots of shopping, busy schedules, running hither and yon trying to get it all done. Sound familiar? Of course at some point in the next few weeks, you’re expected to have some guests over to your house for drinks and nibbles, or something of the sort. Holiday entertaining does NOT have to be stressful. So quit freaking out, take a deep breath, and let’s make a plan here! I (humbly) consider myself pretty good at throwing together a slamming party in a hurry, for very little cash and effort. I’ve had years of practice! I love love love having people over, even if I don’t have two nickels to rub together, as my Granny would say. You can set out a delicious and WLS-friendly appetizer buffet, make a big bowl of WLS-friendly punch or Hot Mulled Cider Mocktail, put some good music on, and it’s a holiday party! Here’s your Bariatric Foodie menu for a WLS-friendly Holiday Party that will have your friends and family begging for more! Best of all, they won’t even know it’s healthy! So there’s your menu, all you need now is to light a few candles, turn on the Christmas tree, and light the fireplace. Don’t have a fireplace? Put a Yule Log DVD in the DVD player and it will put one on your tv screen. There you have it, a simple yet fabulous holiday party all on one page! So call your friends, set out some snacks, and relax and enjoy your guests!